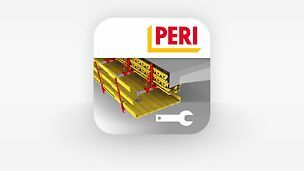 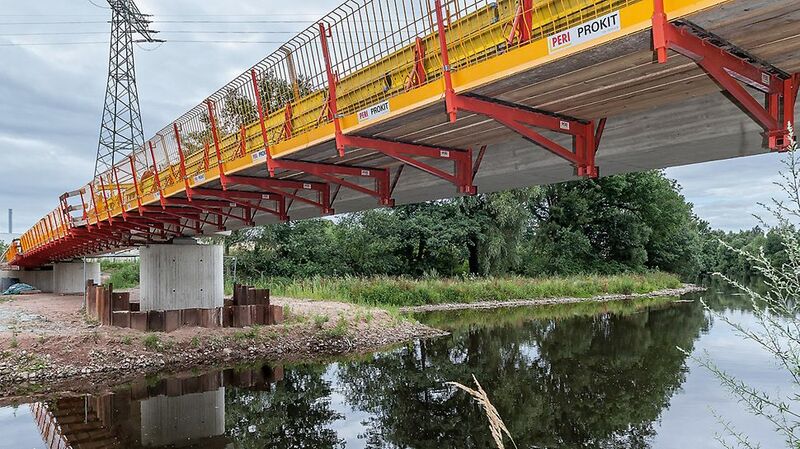 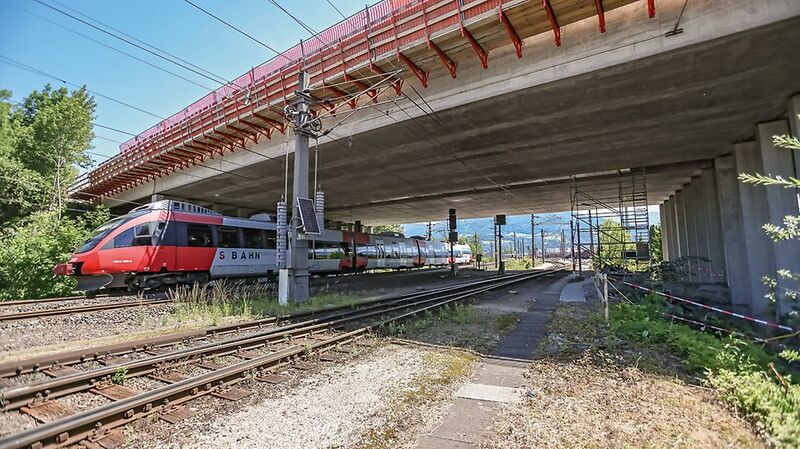 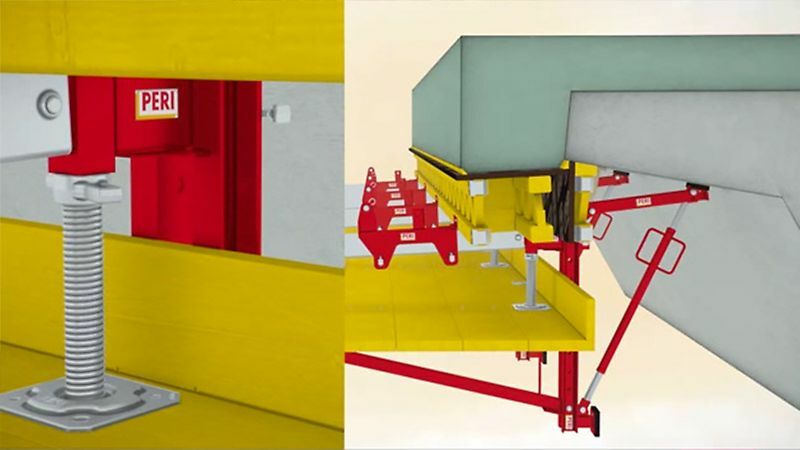 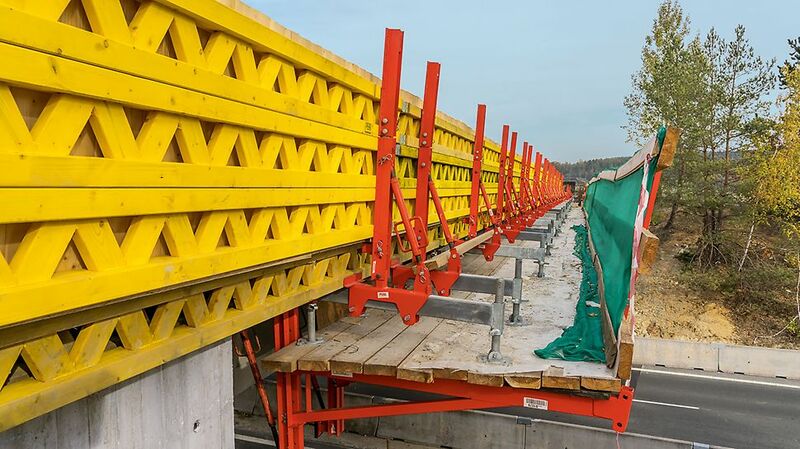 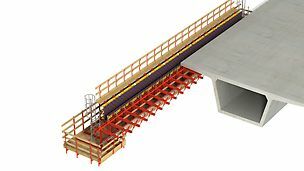 For short bridge superstructures up to 200 m long, the VGK Cantilevered Parapet Bracket is a safe, rational and efficient solution in new construction and refurbishment projects. 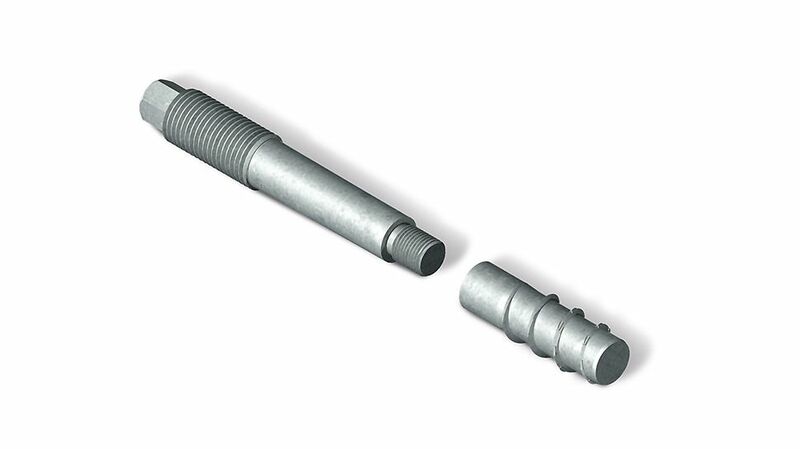 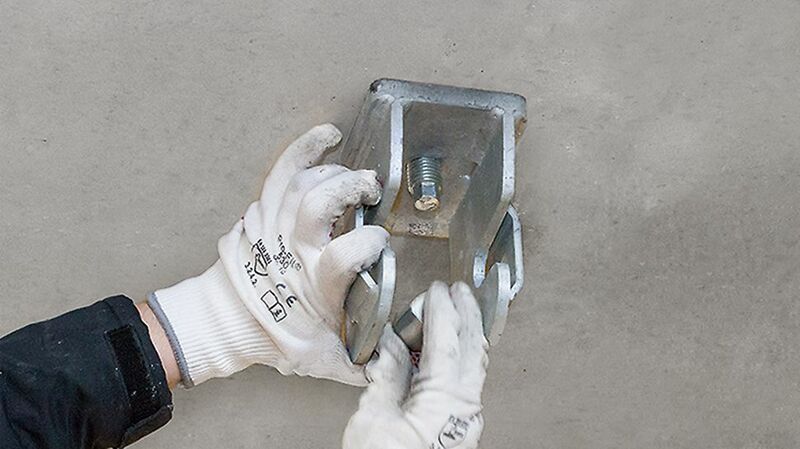 Lightweight, hand-mounted system components facilitate easy operation and efficient working. 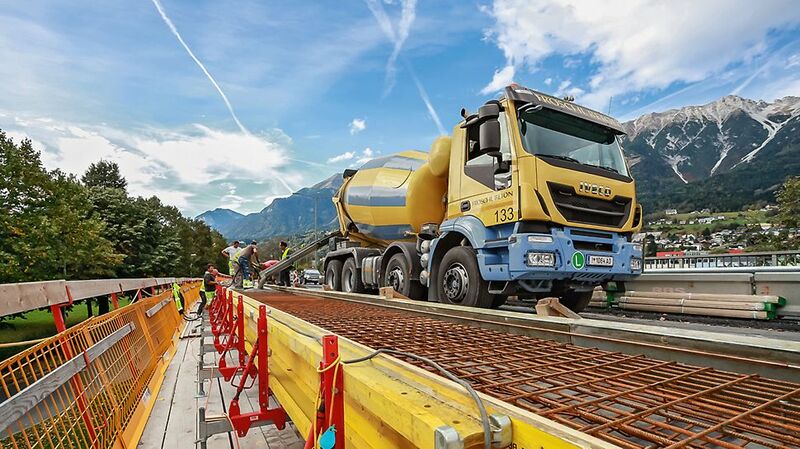 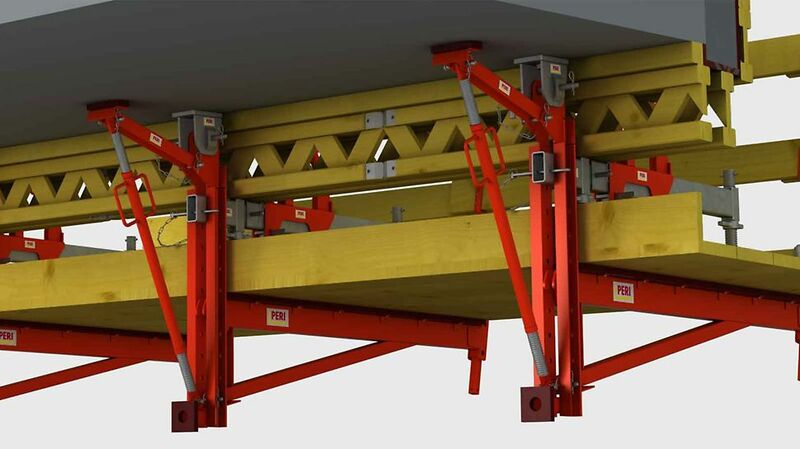 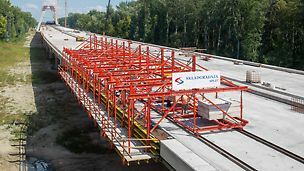 The construction with separate platform and formwork unit features penetration-free decking and provides the best possible protection for the on-going flow of traffic below. 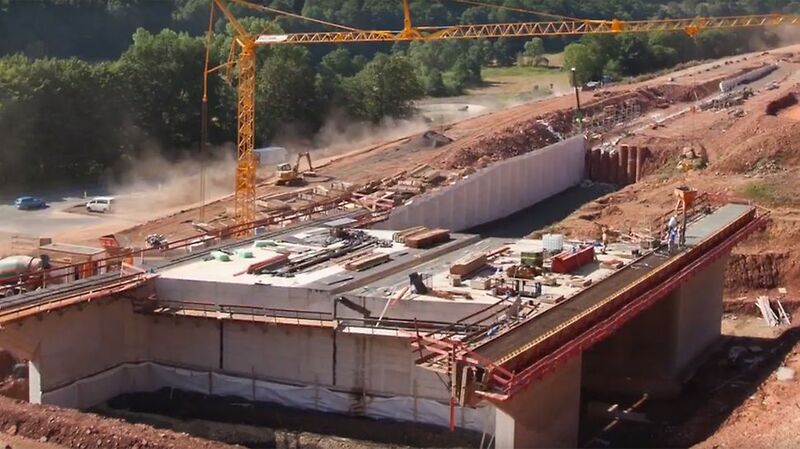 The VGK is anchored to the underside of the bridge. 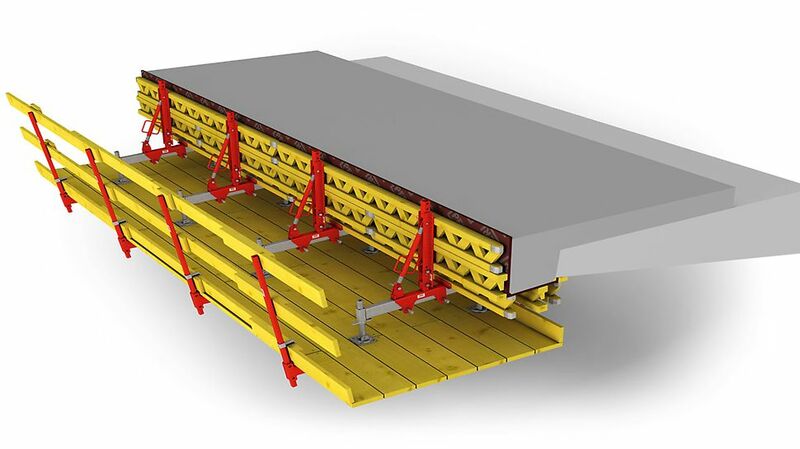 As a result, it does not disturb work operations on the upper side of the superstructure at any time.